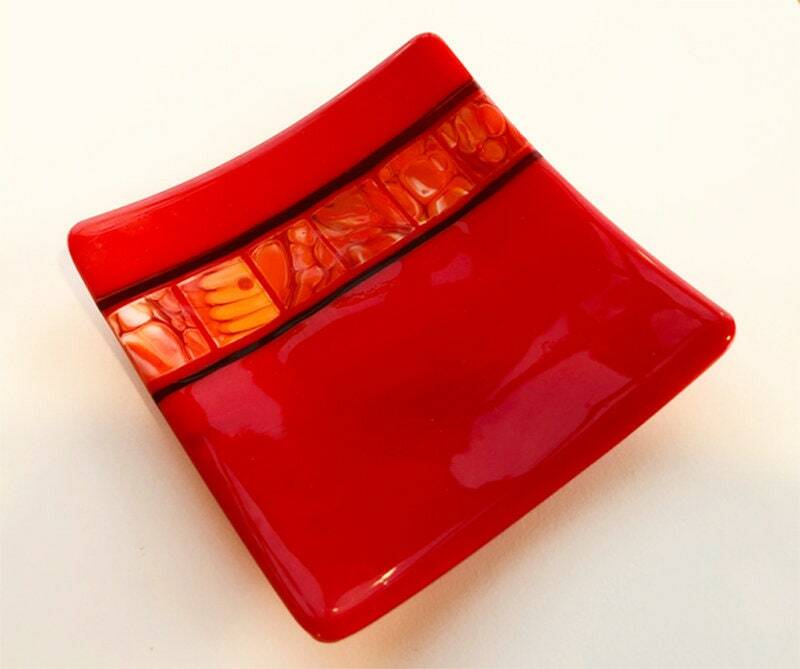 Red Green Small Fused Glass Tray . 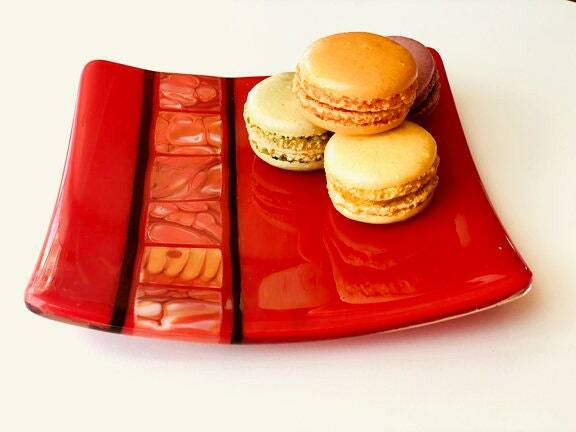 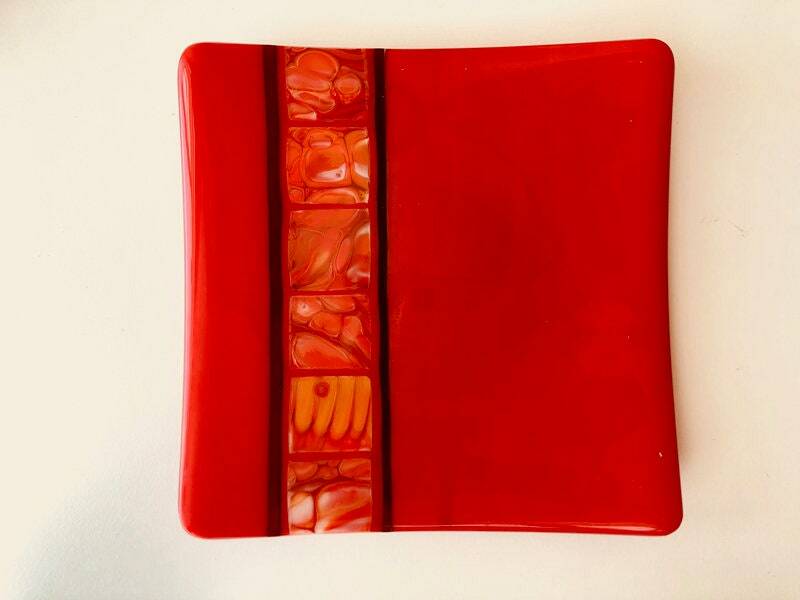 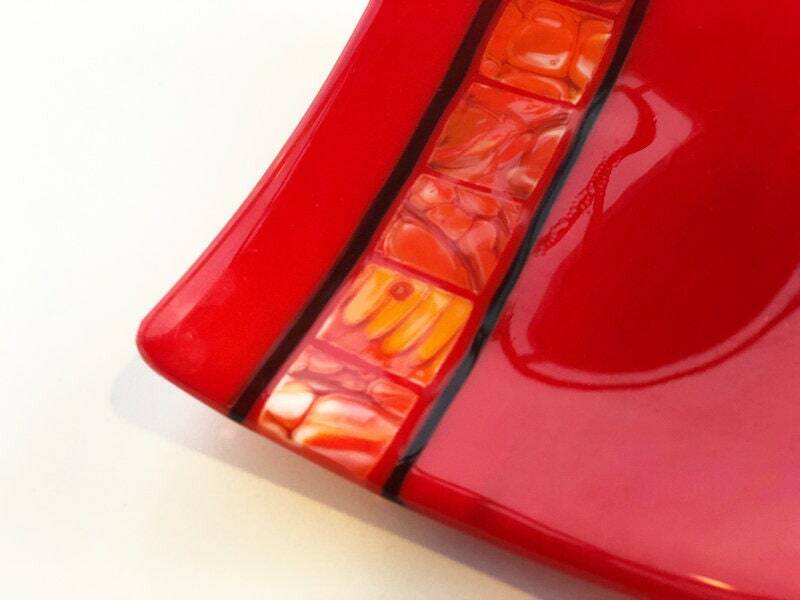 Lovely red small square tray that will brighten your dinner table or your kitchen counter top. 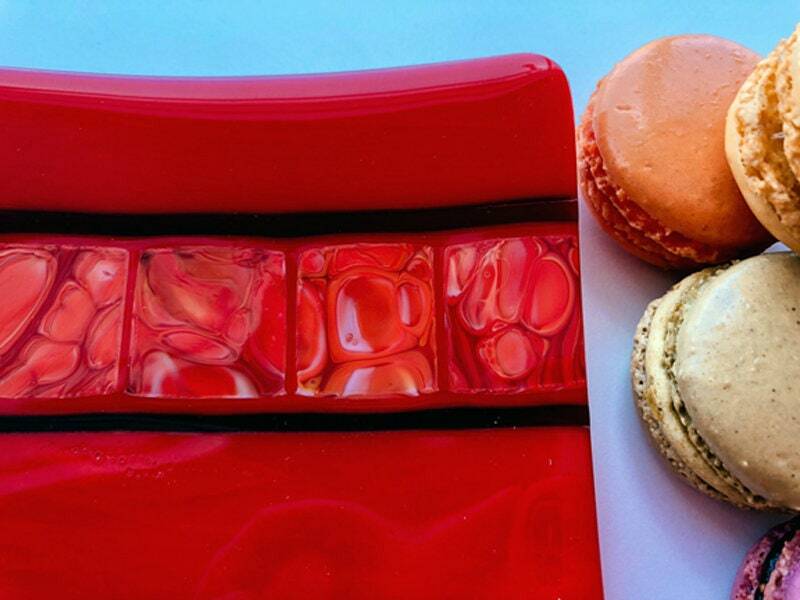 Not for use in the oven or the microwave.